I am huge fan of National parks, and even dream of being a camping type of girl, although I am not, but I do love our National parks. They are beautiful. If I can't visit one in person, why not travel to one in a book? Am I right? This book will take you to the most breath taking scenery and have your sense of imagination on an adventure. The two main characters, Olivia and Clark are intriguing and delightful. Full of history and culture, this book is stunning! The details are delicate as the 1920's come to life. If you haven't read The Road to Paradise, book one, I highly recommend you do. 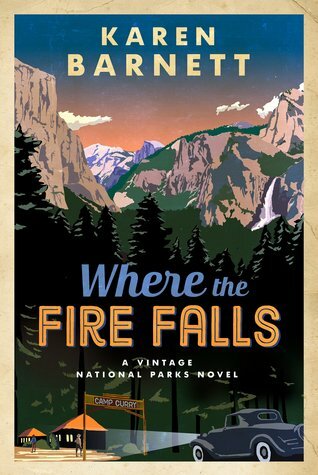 Where the Fire Falls is a stand alone, but you do not want to miss this series! It is a great read for those who love romance, historical fiction and want an adventure in the wilderness. Karen Barnett is the award-winning author of The Golden Gate Chronicles (Out of the Ruins, Beyond the Ashes, and Through the Shadows) and Mistaken. She lives in the Pacific Northwest with her husband, two kids, and three mischievous dachshunds. When she's not writing, Karen enjoys photography, hiking, public speaking, decorating crazy birthday cakes, and dragging her family through dusty history museums. Oregon Christian Writers (OCW) honored her with the Writer of Promise Award in 2013 and a Cascade Award for her debut novel, Mistaken, in 2014. In 2016, she was named Writer of the Year by the prestigious Mount Hermon Christian Writers Conference. 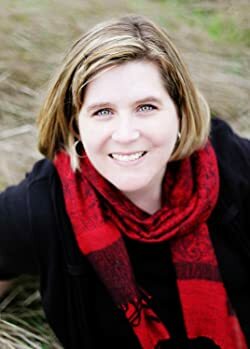 Karen is a member of American Christian Fiction Writers (ACFW) and Oregon Christian Writers (OCW) and has been published in Guideposts and other national magazines.